Eighteen military service members from Illinois got a special welcome home Wednesday night. CHICAGO (WLS) -- Eighteen military service members from Illinois got a special welcome home Wednesday night. 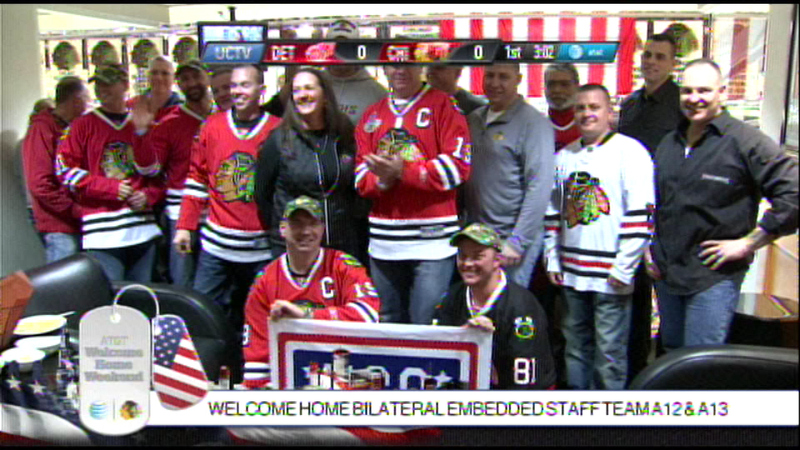 They were guests at Wednesday night's Blackhawks game at the United Center. The group appeared on the Jumbotron and later met some of the Hawks.